Hempacore intumescent coatings provide proven passive fire protection for cellulosic fires, as well as long-term performance and reliability. HEMPACORE ONE FD 43601 is a fast drying one component, solvent-borne, physically drying intumescent coating for passive fire protection of structural steel against cellulosic fires. It is suitable for in-shop and on-site applications. 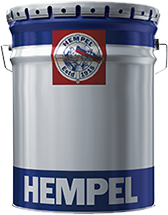 HEMPACORE AQ 48860 is a one-component water-borne, chlorine free, physically drying intumescent coating for passive fire protection of structural steel against cellulosic fires. It has no VOC and it is suitable for in-shop and on-site applications.